just bought today in store at John Lewis in York. was still scanning at £79.95 yet price tag stated £64.95. apparently it was the "new price" and the system wasn't updated yet. I think maybe I got lucky and got it just before price change was more official. surely with it being John Lewis it's national.....? Presumably going to be a HDR model this year as Prime Video already have some content. Heat for cheapest around (the York area?) anyway. 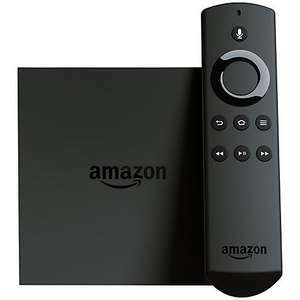 what's the difference between this and the smaller amazon fire sticks? Had the stick now the TV, naff all 4k movies lots of dramas if you like, so for me not worth it the stick is VFM and I've had more streaming issues with the TV version. Just to make u aware. Fire TV boxes can't read from NTFS hard drives (not with a lot of faffing around and even then not perfect). So if you intend to use this to play from your video library on a hard drive u may want to look for an alternative. Deal posting newbie! This is mattsimm09 first deal post. Help out by leaving a posting tip or just to show your appreciation for their contribution.